World War I Memorial given by Burdick Homemakers Club in 1924. 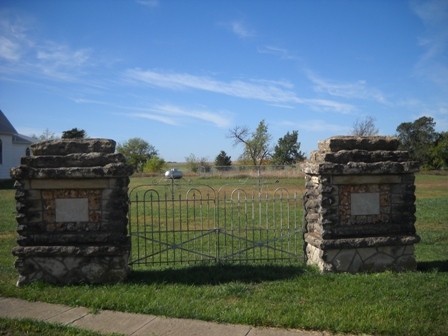 Today it is a gate to nowhere, but in the early 1900's there was a field where baseball games were played and rodeos were held. In those early years annual Field Days/Rodeos were held in Burdick. In 1916 famous black cowboy Bill Pickett performed.